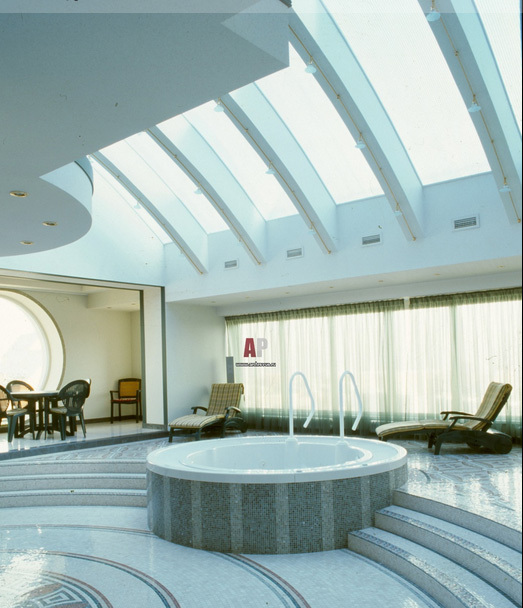 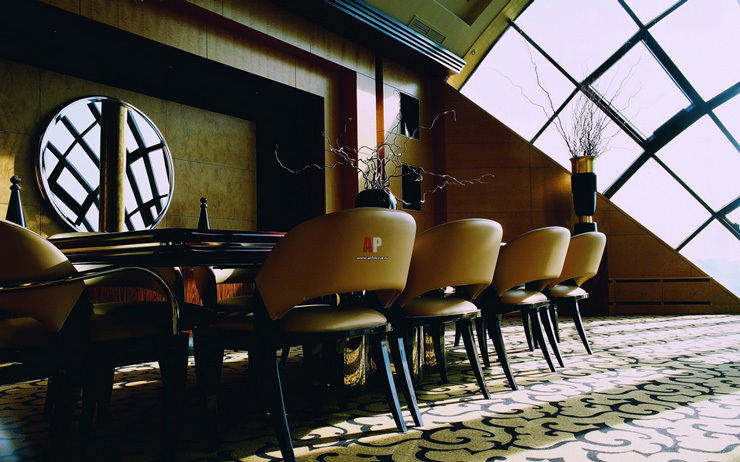 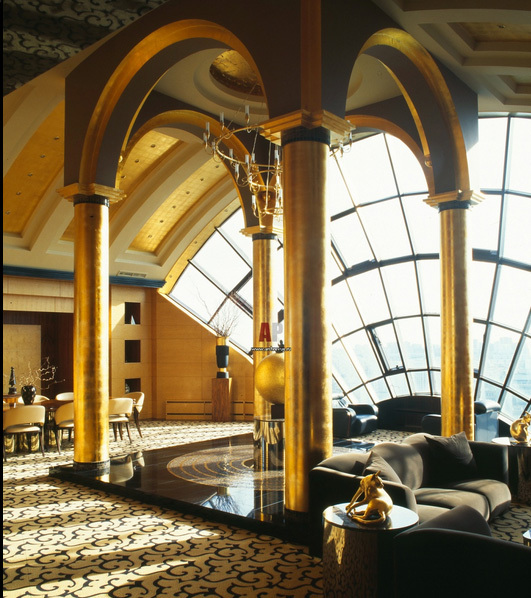 We all know the Russians love for luxury and this penthouse in Russia by designer service is incredible luxury. 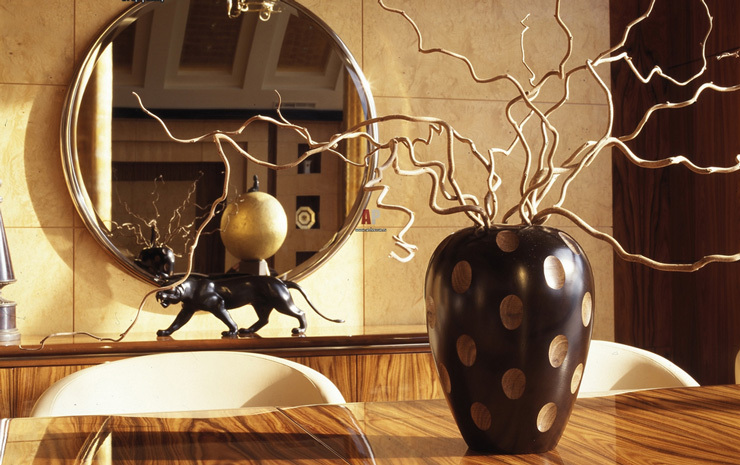 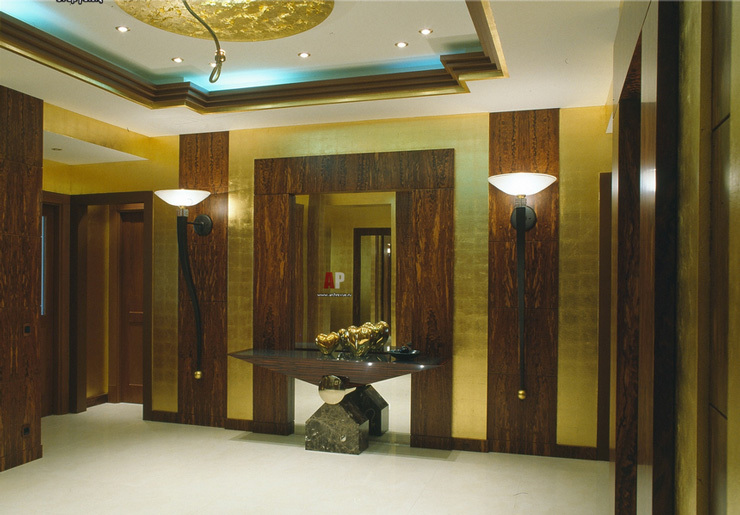 In luxury art deco style combines the gold which is the main color with glossy black, precious stone and 4 different kinds of rare wood. 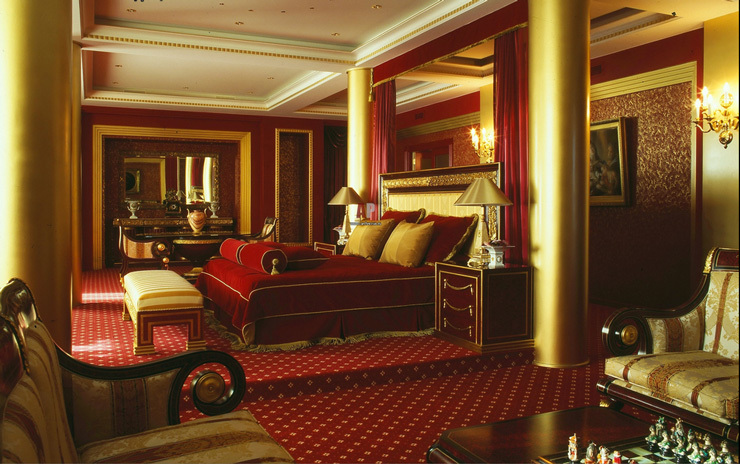 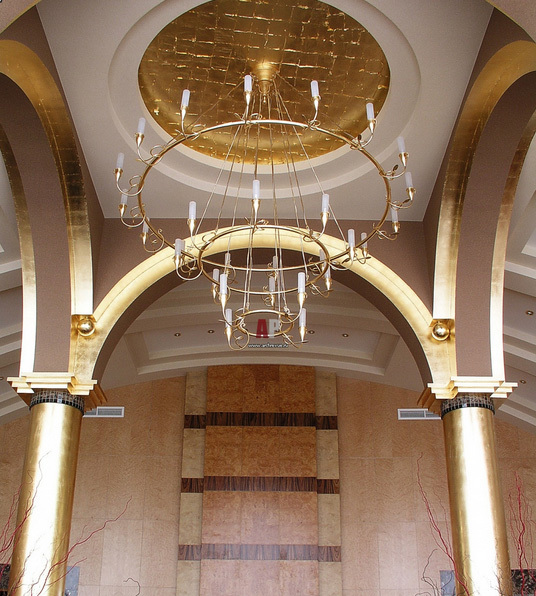 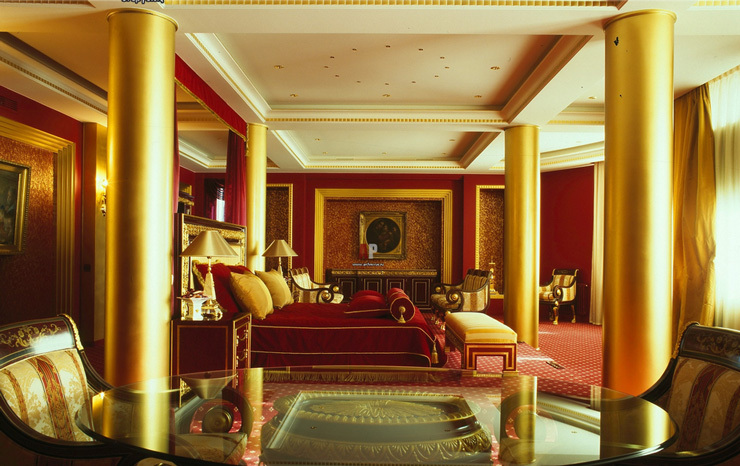 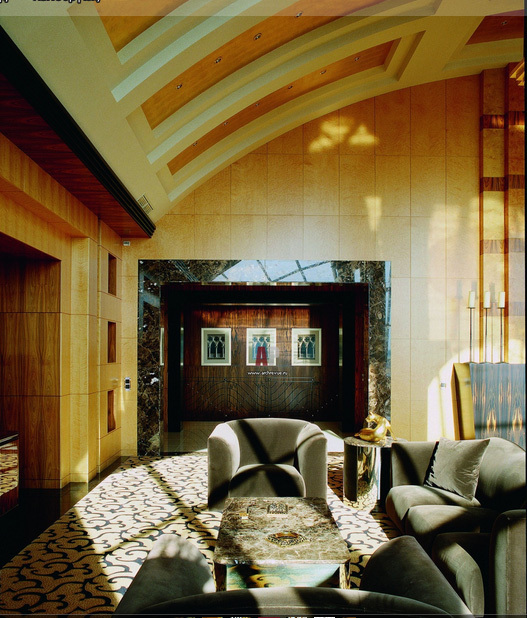 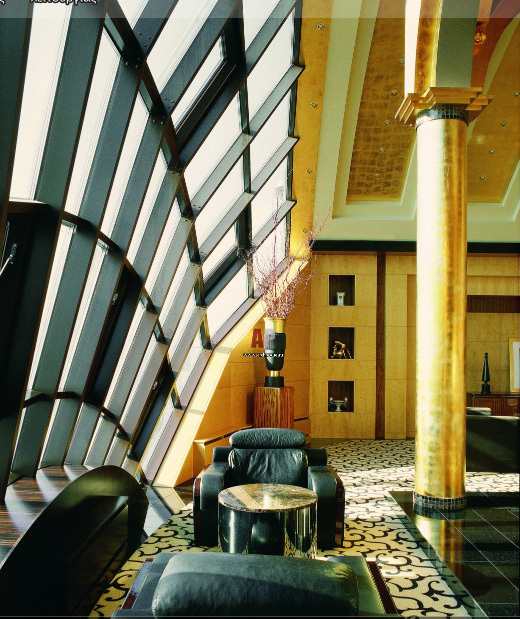 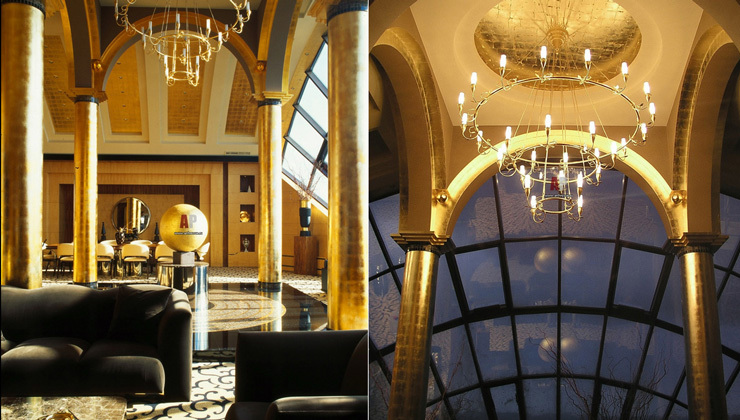 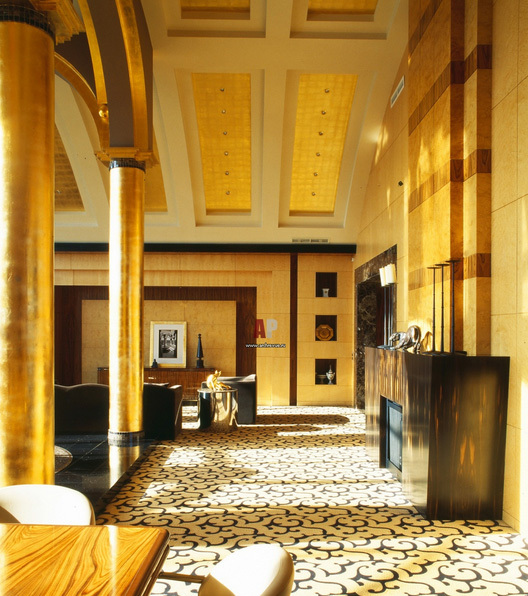 High ceilings decorated with gold leaf and a large 6 meters high window for maximum light. 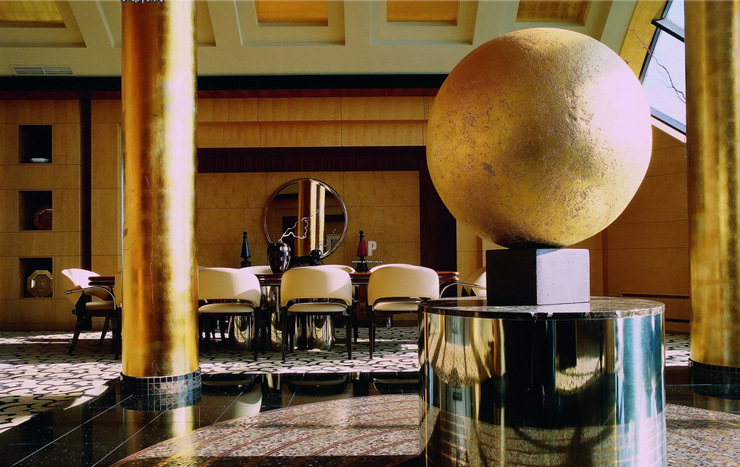 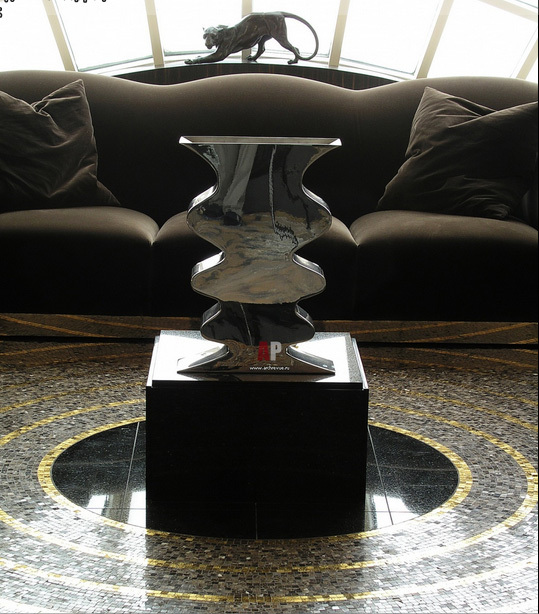 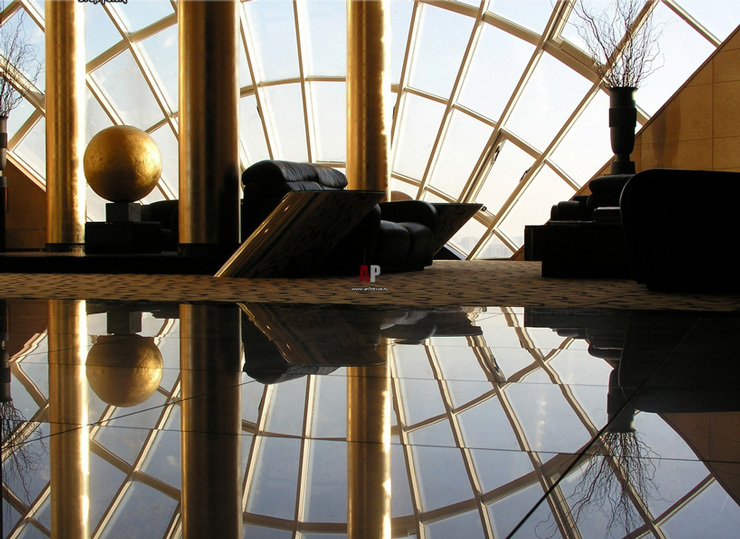 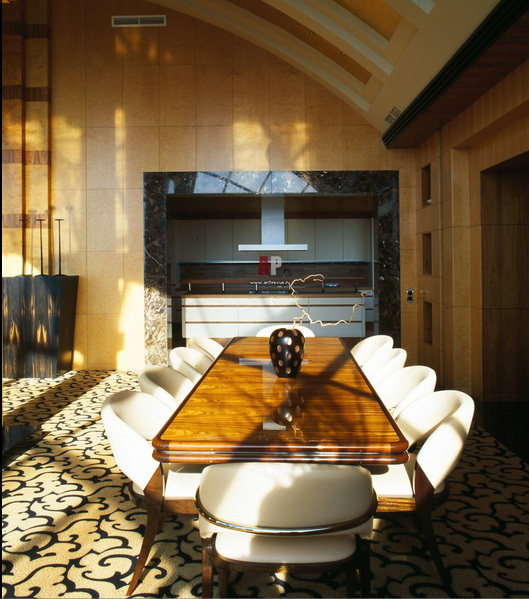 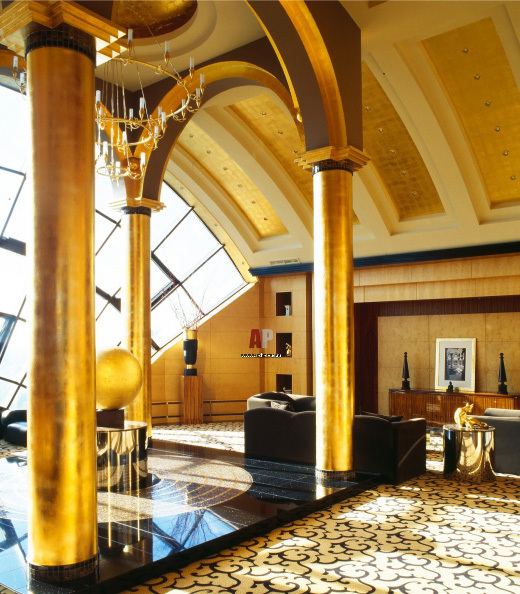 In the living room a large golden ball stands on a granite podium decorated with marble mosaics and gold circles. 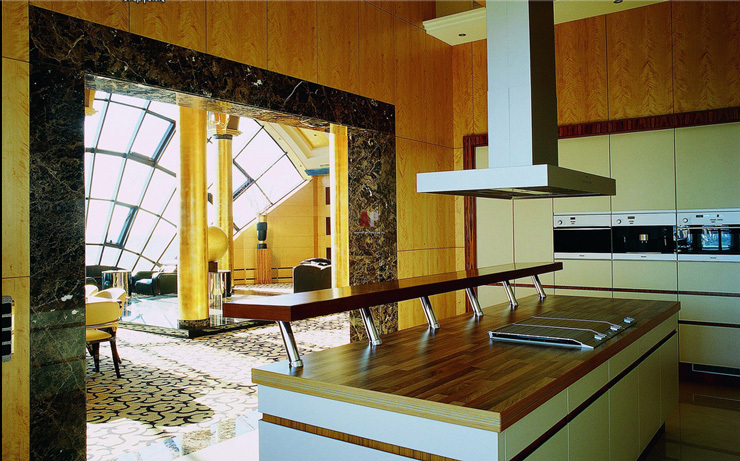 In this 800m² (8611ft²) house lives one person.